If you or a loved one has had a stroke, you are probably frightened, worried, and consumed with questions. What can you expect from recovery? How much rehabilitation will be needed? 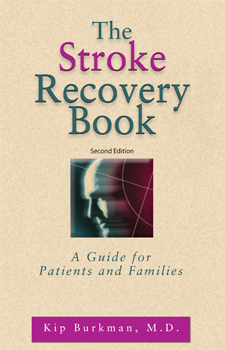 A Book to Help Patients and Families Understand Stroke Recovery! I still refer to the stroke book. This month I’m learning to drive again at a driving school. The book has helped me with everything except how to balance a checkbook.